EchoDitto, the company that I co-founded and am CEO of, has not in the past, does not now, and will not in the future do any work for Sen. McCain in any way. Right now, I’m involved in many projects that have nothing to do with presidential politics. While I currently don’t know what role I’d like to have in 2008, if Sen. McCain runs I hope to be helpful. This is a personal decision for me based on my own first-hand experience. I like Sen. McCain – I think he should be president! There is something happening this week in Congress (I know, hard to believe). A bill call HR 1606 is coming up for a vote on Wednesday. The bill is designed to (a) protect bloggers and online political activity and (b) open large loop-holes in campaign finance law. I’m all for (a) – protecting online political activity. As for (b), I’m pretty sure that allowing more big money into the system is a bad idea – besides the obvious reasons (influence peddling) the major donor dilutes the power of the small donor. My work on the Dean campaign was about the triumph of citizens, about how if everyone participated we could be more powerful than a few large, wealthy interests. Strangely enough, despite Markos’ excellent book decrying the culture of money and corruption in Washington, DC, DailyKos persists in supporting HR 1606 – which clearly opens campaign finance loopholes that McCain-Feingold sought to close. I understand protecting online activity, especially blogging and political speech – but there is a bill that does just that, that everyone agrees is a good bill, that does NOT open loopholes in the Big Money game. I’m asking all bloggers out there to support the new bill (HR 4900), based on work done by the Center for Democracy and Technology (CDT), which protects bloggers and online activity but doesn’t do any damage to our already fragile campaign finance laws. (a) Online voter persuasion & GOTV: I think that we generally understand online fundraising. But what about voter persuasion and voter GOTV? How does online persuasion work? Is it successful? I think it’s a tough nut to crack. (b) Declining effectiveness of online fundraising: In the mean time, what we know about online fundraising is slowly declining in effectiveness. At some point that side of the equation is going to stop working, too. Oh, and even right now it’s expensive and has a long maturation time line. Don’t believe me? How many repeats of the Dean campaign have we seen – any? (c) Television: given the changing media landscape (increasing proliferation of cable tv channels, fractured audience, penetration of TiVo and DVR technologies, rise of video games and internet as alternative to TV, increasing use of DVDs to watch movies instead of visiting movie theater – which appears to eat away at standard TV time), what is the role of TV in the next cycle? arguably, the most powerful TV ads last cycle were the Swift Boat ads – a small cable buy. What about the other $1 billion spent on TV for political ads? You could spend more money on field and other non-TV strategies – with exciting and successful effects – but at the end of the day if your opponent puts up a couple million in negative ads and they can win. Negative ads still have a decisive effect. (d) Media: the population that consumes traditional media is rapidly shrinking. Last year Pew did a study about how people consume news. More and more consume it via blogs and other informal sources – like the Daily Show. “new media” should include cell phones and video games. I suspect cell phones are going to rapidly grow as a way people consume information and news. how much does a new york times story really matter? how much does it drive other coverage? how important are reporters to the political dynamic if less people depend on their outlets for news? it’s possible that they’re more important – but with smaller audiences. (e) National strategies vs. primary strategies: One of my number one take-aways from the Dean campaign was that we had a national internet strategy – which was pointless (except to raise money) when you’re trying to win Iowa and New Hampshire. At the end of the day, it’s clear that the internet is emerging as a decisive part of american life – but I can’t figure out what that really means for politics. there are glimmers of what it might mean here and there, but nothing is really coming together for me. Although my true podcasting home is with EchoRadio (you can even get the Junglecasts in a special section now), on Monday I was at the Personal Democracy Forum and couldn’t help myself. I was so jealous of Brian Reich’s sweet podcasting setup that I had to take to the mic myself for some podcasts. Most notable was the podcast about Half-BloodPrince.net, a blog that uses Harry Potter to analyze the political dynamics of the country. I’m not kidding. Take a listen; it’s short & worth it. I swear. With all the profusion of recent media coverage of podcasting, I feel compelled to note my long short history with the medium. Over at my day job, we’ve even got a podcasting studio. I’ve done a couple of podcasts with Brian Reich about Rules for Radicals — and now we get to the purpose of this entire blog post. I need your help: please vote for Brian over at ChangeThis — he’s trying to get his manifesto published. And if you haven’t poked around on ChangeThis, it’s pretty cool. The above photo was taken last night by my friend Sona, as Tim, Garrett and I watched the election results coming in. The different looks on each of our faces reminds me of this video installation I saw at the Metropolitan Museum of Art a while back. It was a stunning work of art by Bill Viola – the first video installation ever purchased by the Met. He took five actors, gave them each an emotion to express, and then taped them for 60 seconds. He then slowed down the 60 seconds, making it a sixteen minute video. It sounds strange, but it was visually stunning – on a massive, crystal-clear screen, it looked like a perfect painting – except that if you watched it for a minute you realized that the people in the painting were moving, ever so slowly, movements mostly invisible to the naked eye. The cumulative effect was captivating. And so was last night – captivating, slow motion, full of emotion, intense in a slow-spooling sort of way. The look on my face in the photo is perhaps as tense as I’ve ever seen myself. What is there to say? I’m not ready to pontificate on what this means and what happened and what the future holds. In a mundane, petty way – I think that MSNBC had the best TV coverage of the election (having four TVs running at once I feel I can be an accurate judge of this). The web was kind of funny – I think that most of the blogs didn’t have great coverage, but did have great discussion. I generally found CNN.com to have the best online election coverage. C-SPAN had the coolest map. And Comedy Central’s Indecision 2004 blog had good comic relief—specifically the “liberal agenda”. Our Resultron performed admirably, due mostly to the overtime efforts of an amazing team. I also enjoyed two interesting sites – one for GOTV that used text messaging, and one for moBlogging of ballots. Now what? Good question. This op-ed from earlier in the week from the Boston Globe seems especially apropos. Beyond Voting was called to my attention early on Tuesday – and the sentiment suits me. I know virtually nothing about the site, but it’s ethos is right – this election is just the beginning. But at the end of the day, I’m not sure what any of this means. Dark images of The Handmaid’s Tale come to mind – I recall Margaret Atwood being asked about the content of the novel, and she said something to the effect that everything in the novel is happening already. I have no idea what tomorrow and the next day look like — but I took heart in a poem I read late last night — true, it’s a bit blood and gore, but I need a fortitude, a resolve to continue fighting the good fight — so here it is. Your feet set wide and rooted like oaks in the ground. And the god of gods has never turned his back on you. Still stand, breathlessly gripping your wet sword’s hilt. My friends, the future belongs to us. 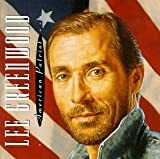 I woke up this morning to the booming sounds of Lee Greenwood, courtesy of my roommate Garrett Graff. In my pre-coffee, heavily-headached, angry sleep-deprived state I growled at him — “what the hell is going on?” and he cheerily informed me this was his election day “pump up mix”. I sat down at my beloved Powerbook for the most up-to-date news. Today, after all, is the culmination of a long journey that began in March of 2003 when I first stumbled onto a fellow named Howard Dean. I’ll be following the election day happenings through the blogs — my favorite right now being Jerome’s MyDD, for “my due diligence”. But I’ll also be following the election results through an amazing machine built by my beloved EchoDitto: the DCCC Resultron. My first email of the morning was from Mike Carvalho who pointed out this Yahoo News story about BLOOD SUCKING MONKEYS ATTACKING HUMAN BEINGS. I kid you not. Just another reason why I hate monkeys. Oh geez. The obnoxious strains of the greatest hits of John Philip Souza are now wafting in from Garrett’s room. It’s too early for this pre-coffee, even on election day. I think I’m going to shoot myself. In general, I try to keep work at a distance on this blog, but politics is a passion (along with donuts, poetry, and jazz) so how can I resist a note or two about last night’s debate? Having slept of the wearying slag of political rhetoric, the early morning light suggests a certain clarity. So let’s cut to the chase, treating this like the horserace it is: Who won the debate? Although some of you out there might not find my reporting that non-partisan, viewing this debate with the most objective eyes I can muster, divorcing myself from all of my partisan leanings, it looks like Kerry won. I suppose the media will gleeful confirm or deny this in short order. I may have been somewhat influenced by my Wednesday night activities, which included a special screening of “Going Up River“. To any mind of a critical bent, it might seem like propaganda… But truth be told it grew on me until I couldn’t shake some of those somber clips of a young, war-wounded Kerry. So, onward! How many days are left? We will see this through, soon enough.